Kugihiki saws are for sawing off dowels close to the surface without damaging. There is no saw set or saw set only at the upper side. One of the finest saws for sawing off dowels close to the surface without damaging it. You can make extreme demands on this saw: it will give you a superbly clean cut and virtually no damage to the surface. 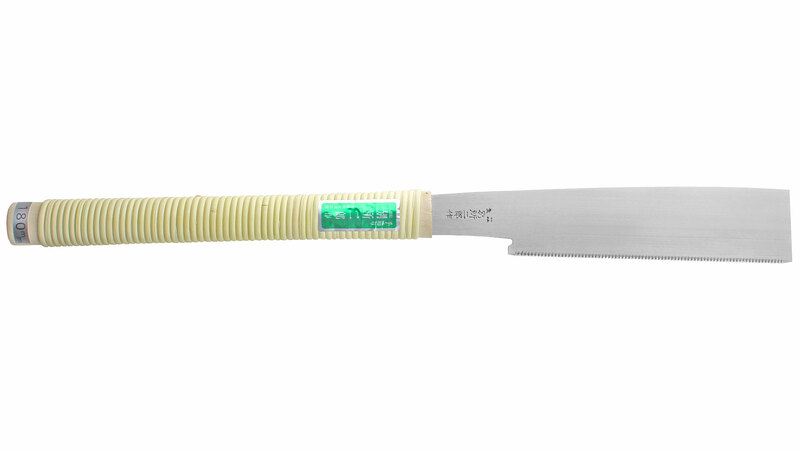 The cutting blade is thinner towards the tip than towards the back, and the shaft gets thicker towards the handle. On the one hand, this gives more stability to the very thin saw and on the other, there will be less danger of the saw jamming when it is cutting close to the main surface. 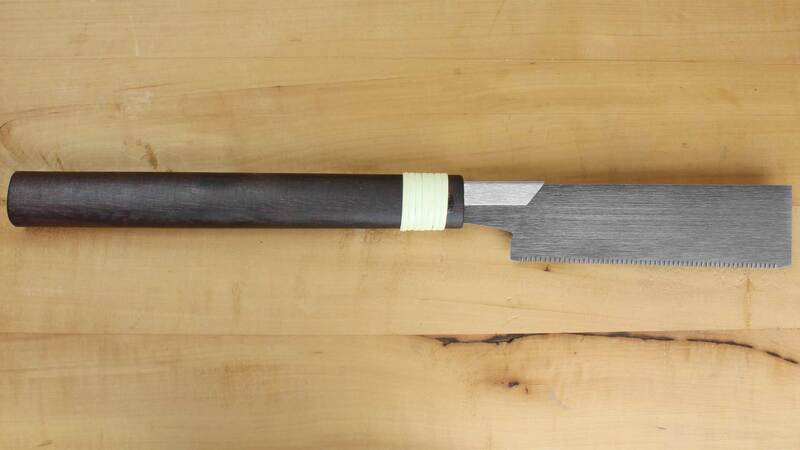 This traditionally made and relatively small saw made by Daizo Mitsukawa is designed for those working in very fine woodcrafts. 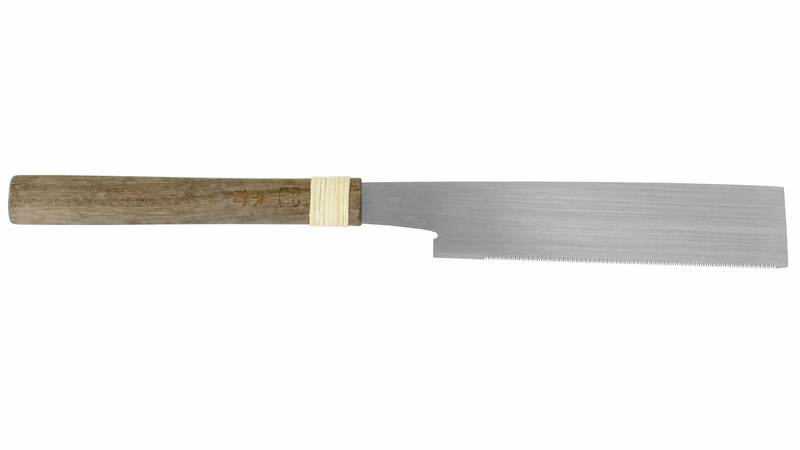 The saw blade is completely hardened and permit a very clean cut. This saw is light as a feather, and aside from their high utility, is also a pleasure for both the eye and the hand. This small traditional Kugihiki saws off dowels clean and fast, flush with the surface!